Aline Feldman, born in Kansas in 1928, continues to create stunning white-line woodcuts with large sheets of plywood, brushes and watercolor. 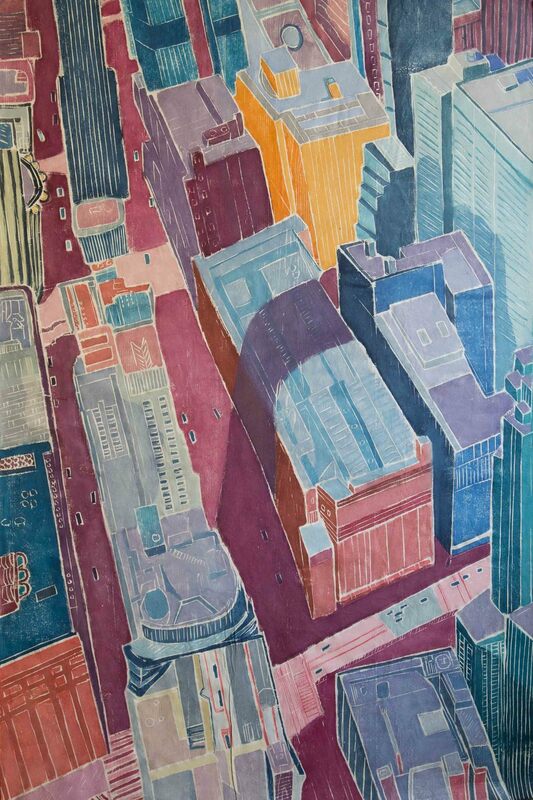 Having studied with Japanese printmaster Unichi Hiratsuka in the 1960s, Feldman has concentrated on merging eastern and western printmaking techniques to forge her colorful, linear, energy-infused style. 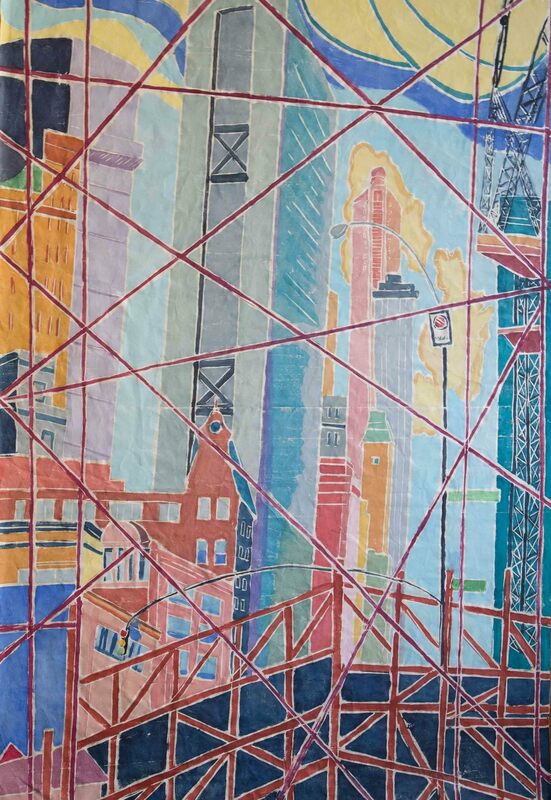 Her landscapes and urban vignettes are in the permanent collections of numerous museums, including The Baltimore Museum of Art, The Library of Congress, the National Museum of Women in the Arts, the Nelson-Atkins Museum, The National Museum of American Art, the Museo de Arte Moderno in Buenos Aires, and the Honolulu Academy of Art. 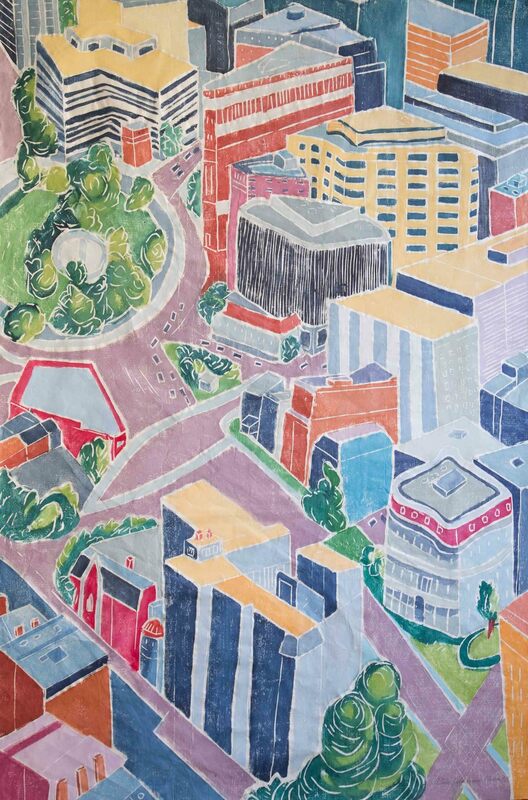 She is the recipient of the 2013 and 2016 Maryland State Arts Council individual artist awards for works on paper.